Big data needs both high availability and protection. The amount of data created and replicated globally is predicted to increase ten-fold by 2025, according to IDC research. You may be wondering where to store that big data, as well as how to ensure your data is highly available and protected. 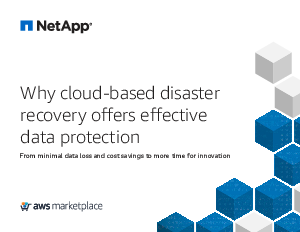 In this eBook, explore why cloud-based disaster recovery (DR) improves data availability, eases the processes associated with DR management, and creates a more economically efficient solution for today’s data-driven companies.